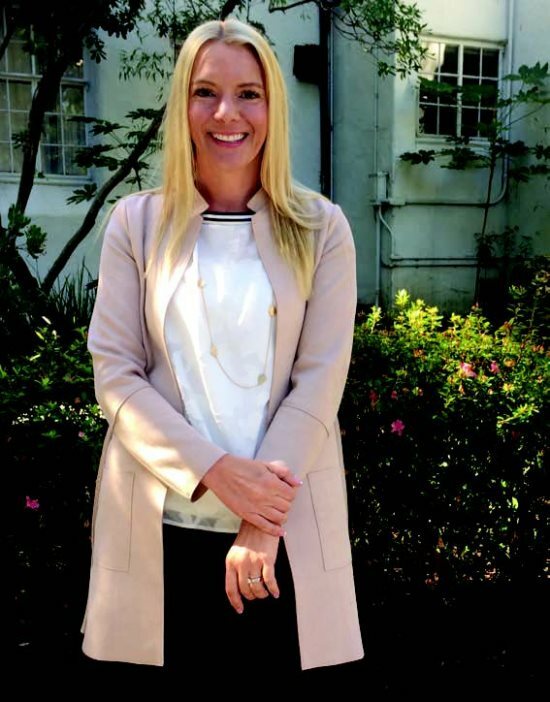 Breyana Brandt joined Moraga staff in mid-March coming from the city of San Leandro, just like new city manager Cynthia Battenberg. In her former department, as assistant recreation and human services director, her budget was $5 million, more than half of Moraga's budget, but she says that being the director in Moraga brings her back to the small town feel she was used to while growing up in upstate New York, and that she is looking forward to working and partnering with all the groups in Moraga. The department Brandt was working for in the city of San Leandro had a completely different feel than Moraga. 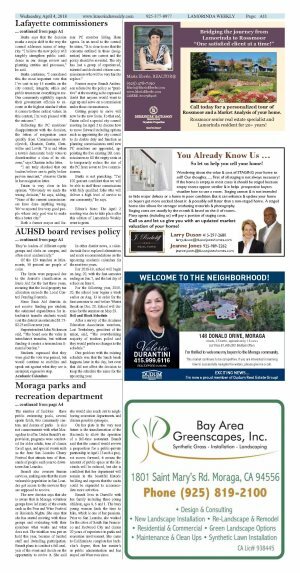 The new Moraga director explains that all the events and programs in San Leandro were exclusively proposed and managed by city staff. The number of facilities - three public swimming pools, several sports fields, two community centers, and dozens of parks - is also not commensurate with what Moraga has to offer. Under Brandt's supervision, programs were conducted for older adults, tens of classes for all ages, and special events such as the June San Leandro Cherry Festival that attracts tens of thousands of people each year to downtown San Leandro. Brandt also oversaw human services, making sure that the more vulnerable population in San Leandro got access to the services they are supposed to receive. 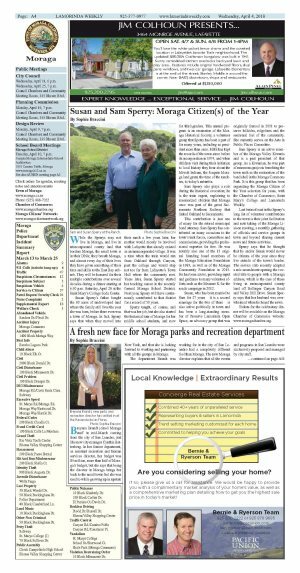 The new director says that she is aware that in Moraga volunteer groups have led many of the events such as the Pear and Wine Festival or Hacienda Nights. She says that she has started meeting with these groups and evaluating with their members what works and what does not. The triathlon was put on hold this year, because of limited staff and dwindling participation. Brandt plans to conduct a full analysis of the event and decide on the opportunity to revive it. She said she would also reach out to neighboring recreation departments and discuss possible synergies. On her plate in the very near future is the transformation of the Hacienda to allow the operation of a full-time restaurant. Brandt said that the council would review a proposition for a public-private partnership in April. If such a project moves forward, it means the amount of public space at the Hacienda will be reduced, but she is confident that her department will remain in the beautiful historic building and expects that the casita could be expanded to accommodate more activities. Brandt lives in Danville with her family including three young children, ages 8, 6 and 1. The busy young woman finds the time to hike, which is one of her passions. Prior to San Leandro, she worked for the cities of South San Francisco and Redwood City and claims 20 years of experience in parks and recreation involvement. She came to California to complete her bachelor's degree, then her master's in public administration and has stayed out West ever since.